In Expansion III: Last Stand, experience the Dark Zone in a new way, through a new game mode with up to 16 players. Join forces to capture and hold tactical locations. Experience a new Incursion “Stolen Signal”, get new gear, weapons and more! 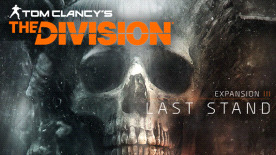 Notes: Please note Last Stand expansion is part of the Season Pass and the third expansion of the series. If you already own the Season pass you will not need to purchase this title.